Solid, more than solid. Solid coatings for wood floors are part of the UV+ Protection program of Renner Italia’s laboratories. Solid top coatings and oils are made with UV absorbers that prevent deterioration and discoloration. Solid UV+ Protection absorber disperse heat coming from the sunlight through an intramolecular charge transfer. Through this ploy, UV rays absorption is reduced for the polymers; in this way, they will be preserved over the time. 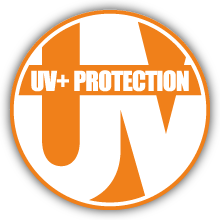 UV+ Protection program is recommended for light woods directly exposed to sunlight.